When a movie starts with a song by “Queen”, who to this day are my favorite band of all time, and later on features even a second one, we’re already off to a good start. Unfortunately, the longer the movie progressed, the more it got obvious that it couldn’t quite refute my worry that it would end up being too long. The running time of over two hours was the main reason why I was reluctant to buy a ticket, but since they showed it between two movies that I absolutely had to see and I didn’t feel like wandering around for 2-3 hours, I decided to stay and watch it after all. Ultimately, I don’t regret seeing it, but had I done so in a couple of months or years when it’s streaming for free somewhere, I wouldn’t have missed much in the interim. My main problem with “Aquarius” was that it tried too hard to urge its viewers to side with Clara – something that I had a hard time with. I felt manipulated, and what’s probably worse, at least in my case, it didn’t even really work. Because as much as I can understand her reluctance to leave the building in which she lived almost her entire life, given the safety and health issues, the offer from the building contractor, and the fact that her refusal to leave the apartment prevent them from building a new house – which would create jobs – she ultimately felt rather stubborn and selfish to me. Thus, I wasn’t really on her side. Then again, thanks to the less-than-sympathetic way the company handled the situation (and that’s not even taking into account the late reveal; which felt a little forced to me), I couldn’t side with them either. Ultimately, I was caught in the middle, not really rooting for anyone – which might be one of the major reasons why “Aquarius” never really gripped me. I’m also not sure if we really needed to see the prologue (even though you can never have enough Queen in your movie). And overall, “Aquarius” just was too long for its own good. What I liked most about it, was the part that concentrated on Clara itself. All those scenes that weren’t about her struggle with the apartment, but about her, period. “Aquarius” always worked best when it was simply a great portrait of this complex and headstrong middle-aged woman. It was further helped by great performances, especially from Sonia Braga and her film-daughter Maeve Jinkings. And a couple of individual moments were really strong, like her discussions with her family, the night with the gigolo, or the ending. 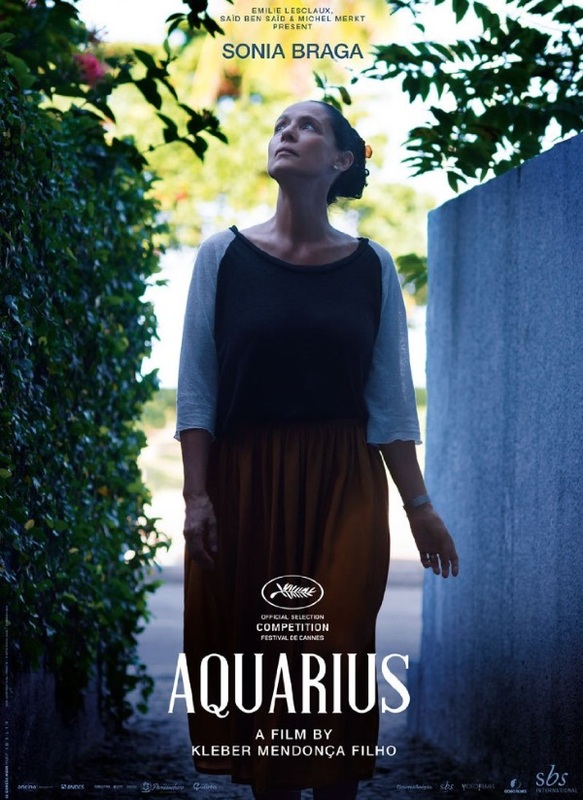 Overall, “Aquarius” is a nice movie with great performances and an ok-story, but is simply too long for its own good, and is further held back by Kleber Mendonça Filho’s insistence to have the viewer side with Clara – which in my case didn’t really/always work. This entry was posted in cinema 2016, movie reviews, new releases, Viennale and tagged 2016, Aquarius, brazil, drama, Kleber Mendonça Filho, Sonia Braga, Viennale, Viennale 2016. Bookmark the permalink.